Skill. Do you have the necessary skills to build a sound structure, and do it safely? Scale. Is the size of the project one that you can handle in a reasonable amount of time? Cost. When factoring in the value of your own time, can the project be completed for less cost by a professional? Do you have the tools you need? Aesthetics. 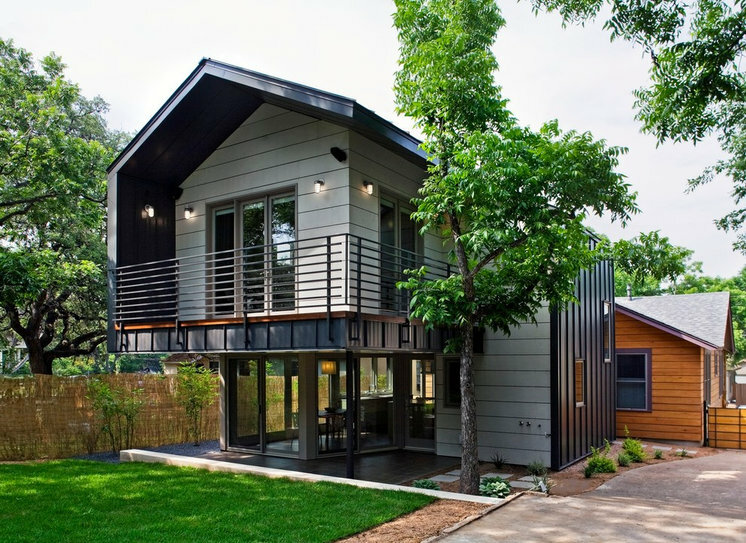 Can you finish the project attractively enough that you're not sacrificing resale value? Would a rough grout joint or wallpaper seam bother you? Learn more about the specific problem areas that often require professional help below. 1. Structural elements. Beams, footers, headers etc. — these are the unglamorous and often hidden parts of a home that are critical to its long-term stability and safety. Don't take chances with structural components. Everything should be drawn or approved by an engineer, whose specifications should be followed to the letter. 2. Electrical. Here's another one where safety and skill intersect. Poor wiring can be a safety hazard — just because you were able to wire something up and it worked, doesn't mean you haven't created a safety hazard. If you aren't confident you have the knowledge to perform the needed work and assess the implications of your work on the rest of the circuit and panel, call in a professional. 3. Roofing. Here's a good example of a project where even if you feel you have the skills to perform the task safely and properly, you may not be able to complete the project in a short enough period of time to avoid exposing your home to damage from rain. If you can't get your roofing project done in a couple days, don't start it. Even professionals can underestimate the time a project will take to complete, so you may want to double your estimate. 4. Plumbing. A clogged drain line and a faucet that needs to be replaced are tasks that you know you can complete. Before you do either yourself, though, think about the true cost. What is your time worth? Do you have the tools? If you end up renting a drain snake from the home center that doesn't work when you get it home, and you need to make another trip before you even clear the drain, you may lose much of a precious Saturday. 5. Insulation. 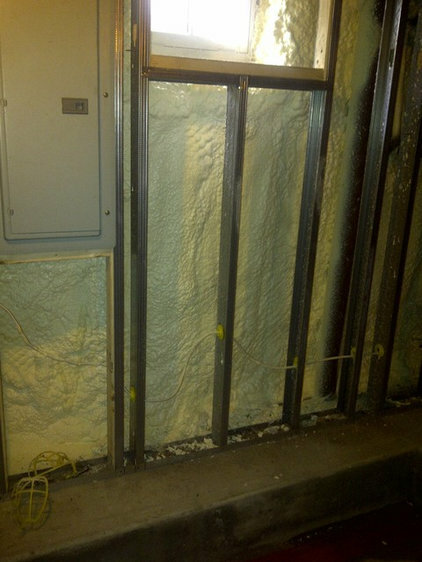 Certain types of insulation, such as spray foam, should be left to the professionals. Many people assume that installing batt insulation like fiberglass is an easy project, but there is a lot of room for error here. If you leave gaps you can create spots that draw heat and moisture into your walls — a bad combination. Even if you do the job well, it's messy work. Plus, insulation contractors get a much better deal on the material costs than you would, offsetting the labor savings of a DIY project. 6. Carpentry. Even if you have the skills to complete the project, professional carpenterswill have the tools and experience to get the job done quickly. If you are trying to complete the project on a part-time basis, remember to factor in setup and cleanup time. Working a full day is often much more efficient than an hour here and there. 7. Masonry. This is one that bridges all four factors — if there is a structural component to the masonry project (and there usually is), safety is a concern. The scale of projects involving stone, brick and concrete can be deceiving. Make sure you know what you're getting into. Wrestling a heavy stone into place and making it look good takes years to master. When you factor in all of this, the cost of paying for good work can be a bargain. 8. Wallpaper. There isn't much room for error here. You have to get it right the first time. 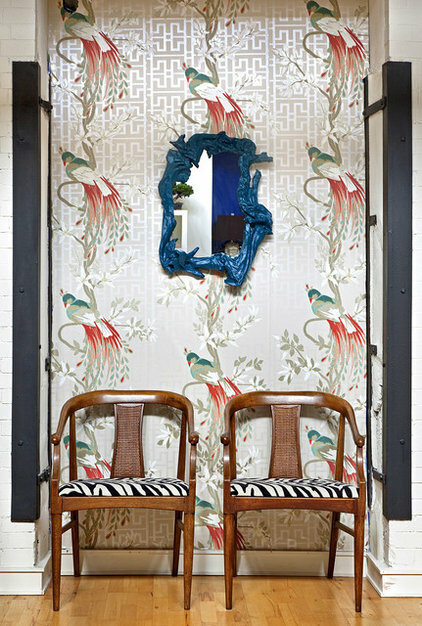 You're drawing attention to the wall by dressing it up, so it had better look good. You wouldn't pay an arm and a leg for a beautiful fabric and then make a sloppy-looking dress, so don't buy a gorgeous paper and put it up with misaligned seams and bad corners. 9. Tile. The pace of tile installation is slower than that of wallpaper, and there is a lot of contemplation that goes into a good tile installation. If you aren't experienced, you may discover something you should have thought about when it's too late. You also want to prep correctly. Tiles are all different and require different approaches to installation. Your DIY tile floor may look good when it's done, but can you be sure it will hold up and not crack in a year or two? If you are confident about that, go for it. If not, call a professional. 10. Painting. I know, it sounds ridiculous — if you can't paint, what DIY project can you do? Keep in mind, I'm not here to stop you from painting your own house. Just consider that a good, lasting paint job takes a lot of prep work. Sometimes this can involve wall repair, scraping paint (which can be a health risk if it's lead paint), priming and caulking over old finishes with various products. Depending on what you're working with, you may need someone with more experience to help.